Vauterhill Stud has purchased Linda's Lad to stand at the Devonshire-based operation for the 2017 breeding season. He will stand at a fee of £1,000. 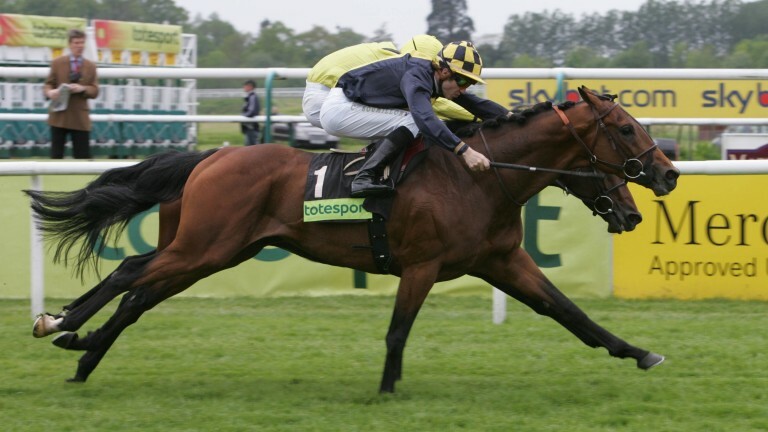 The 13-year-old son of Sadler's Wells is a half-brother to Ulterior Motives, who won over a mile and was placed in a Group 3 company in Germany. Linda's Lad is out of the Alleged mare Colza, a half-sister to the Sir Henry Cecil-trained Wharf who won the Group 3 July Stakes at Newmarket and finished second in the Lockinge Stakes. Bred by the Niarchos Family and trained by Andre Fabre, Linda's Lad was a top-class juvenile notching three Group successes including the Group 1 Criterium de Saint-Cloud and the Group 3 Prix de Conde. His Classic campaign saw him win the Group 3 Derby Trial Stakes at Lingfield, before he finished ninth in the Epsom Classic. He trained on as a four-year-old in the US, finishing down the field in the Woodbine International. Linda's Lad has sired numerous black-type horses while at stud in France at Haras de Grandcamp, including Ladeka, Positano Sud and Idol's Lad. He is also responsible for Tout Est Permis, winner of a three-year-old maiden hurdle on his fifth start at Limerick on Monday. Graham Heal, owner of Vauterhill Stud said: "Linda's Lad was a fine racehorse that had stamina. He was a nice, sound type and stands at 16.1 hands. He is a nice mover and has an even temperament. He also has a great pedigree that will appeal to breeders." Linda's Lad will stand alongside Arvico, sire of multiple Grade 1 winning chaser Arvika Ligeonniere and Arvico Bleu, who finished third in a maiden hurdle at Navan recently. Arvico will also stand at a fee of £1,000. Rocamadour, Dream Eater and Phenomena complete the five-strong roster. Linda's Lad was a fine racehorse that had stamina. He is a nice mover and has an even temperament.